Ask any Peace Corps volunteer, and they will tell you that the process of getting ready to leave the U.S. and live abroad for 27 months in a developing country is a stressful time. However, while many of my fellow volunteers biggest stress was making sure all their luggage was under the 50 pounds mark, I was more concerned about the possibility of having a seizure on the plane. I was diagnosed with epilepsy when I was 14, and it hasn’t always been controlled. I’ve had seizures in the shower, in front of my parents, in front of my college roommates. There’s a certain level of embarrassment and a certain level of “otherness” that comes with the diagnosis of epilepsy that I think only fellow epileptics can understand. I’m 24 now, so I’ve had 10 years to learn how to deal. I’ve accepted that my lifestyle will have to be different; I’ve accepted that I will have some challenges others will not. In fact, I had to fight extra hard to be accepted into the Peace Corps at all. The medical clearance process with the Peace Corps is rife with inconveniences for even the most healthy of persons. But because of my epilepsy, I had to see and convince specialists, get certain tests that I prayed would come back normal, and put more effort, time, and money into making sure all of my additional medical paperwork was turned in on time. When all was said and done and I was given the final medical okay, I thought that the hardest part was over. 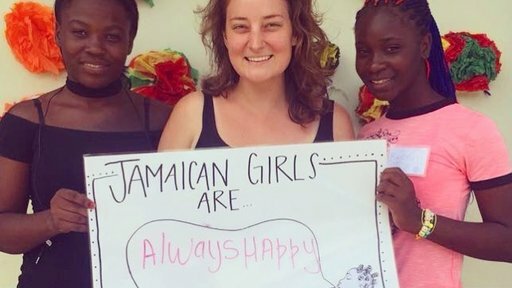 But I should’ve realized – living in the U.S. with epilepsy is way different than living in Jamaica with epilepsy. My everyday experience is different than other volunteers. Let’s say I go to the market one day with my host sister to get some shopping done. I am on a heavy dose of sedatives to control my seizures, and they cognitively impair me. My comprehension and response rates are slower than the “normal” person. This means that the market, with its loud, racing environment is difficult for me to even take in, much less keep up with my host sister as she jumps from vendor to vendor, chatting rapidly in raw Patwa, as I try to understand what all is being said. I carry around an extra level of anxiety with me as I worry about whether this environment will trigger a seizure, as well as a feeling of guilt that I’m slowing my host sister down and getting in the way of Jamaicans who are trying to make it home in time for dinner. After spending a long day walking up and down in the market in the hot sun, we then lug all of our food back to the taxi park. We begin the three hour journey home. As I get into the over-crowded taxi, “smalling up” to people so close that our sweat is making our skin stick together, I think of three of my seizure triggers – getting overheated, sleep deprivation, and dehydration. I often wonder – what would happen if I were to have a seizure right now? And I genuinely don’t know the answer, which is unnerving. But I think the hardest part about serving as a volunteer with epilepsy isn’t these flashes of anxiety – it’s having no one to talk to about it. Back home, I have my normal supportive network of friends and family to consult, but out here in the rural bush of Jamaica, epilepsy isn't understood. Religion is a huge part of Jamaican culture, so when someone has a seizure, it’s seen as a spiritual experience – “the spirit is taking them.” This means that my community members don’t even understand what my condition is, much less the implications it has on my personal life. 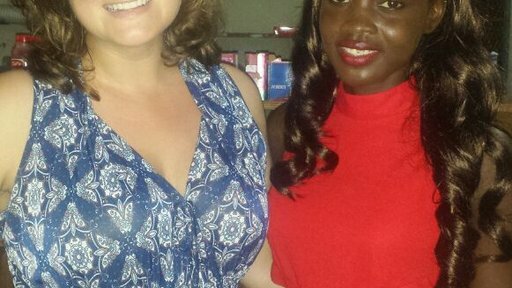 Although I often feel my epilepsy is a handicap when it comes to my Peace Corps service, sometimes I see it more as a unique advantage. Empathy comes easy to me, and that can take you far in the Peace Corps. My primary job with the Peace Corps is working with students who are below where they need to be in literacy. So this means that I often work with students who have a myriad of disabilities. Children with eyesight issues, dyslexia, and other learning disabilities are common. One of my students, Marie* has a neurological disorder that hasn’t been diagnosed yet. She has a unique gait, her eyes are slightly farther apart, and it’s more difficult for her to speak than some of the other students. She also has frequent seizures and has even had one at school. However, the reason that she is so far behind in school is simply because she has missed class time due to being hospitalized. She is actually quite bright and learns quickly, but has been labeled a “dunce” due to her differences. This obviously takes a toll on her self-esteem. I see echoes of myself in her; she worries that she is going to have another seizure in class and that her peers will make fun of her again. Her concerns are the same that I had when I was first diagnosed with epilepsy as a freshman in high school. And so, most of my work has been centered on building her self-esteem. I tell her that just because she has certain challenges that others do not, she is not inferior in any way. I’ve told her that I have similar health issues, and I’ve seen how beneficial it is for her to feel less alone. I see her slowly starting to believe in her worth – making positive statements about herself and challenging her peers when they try to knock her down. Despite her missed time at school, I see her making progress in her reading as well, and this has improved her self-esteem tremendously. Most of the time, serving as a volunteer with epilepsy feels like this extra weight I have to carry around daily. No one can see it, most don’t understand it. On bad days, I even feel like I would be a more effective volunteer if I was “normal.” And yet, when I think of the fulfillment my work with Marie has brought both of us, and when I think of how full my heart felt when my host mother told me she would take care of me no matter what, serving as a Peace Corps volunteer with epilepsy doesn’t seem like a bad thing at all. 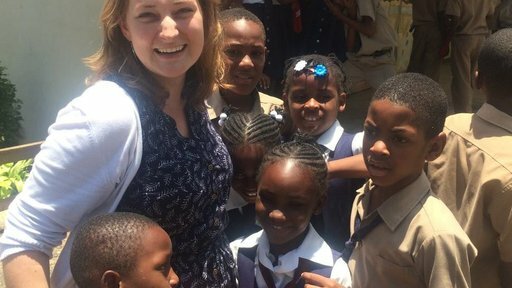 Rachel Simms is an Education Volunteer who has been serving in Peace Corps Jamaica. Her favorite aspect of her Peace Corps service is sharing cross-cultural exchanges with her host family, such as ukulele playing and Spanish speaking. After the Peace Corps, she plans to pursue a career in public policy.